To tell the truth, I am a kind of film geek. I watch films at least three works in a week.However, I had never watched Kurosawa’s movie before I have enrolled the course of cinema review in my college days. I have thought that Japanese old movie is boring and makes me sleepy. But, I become japanese movie lover because of the Kurosawa’s movie. Do you know Akira Kurosawa?He is regarded as one of the most important and influential movie director in the historyof movie, and he produced only 30films in his career. Today, I will introduce you to some of his films. 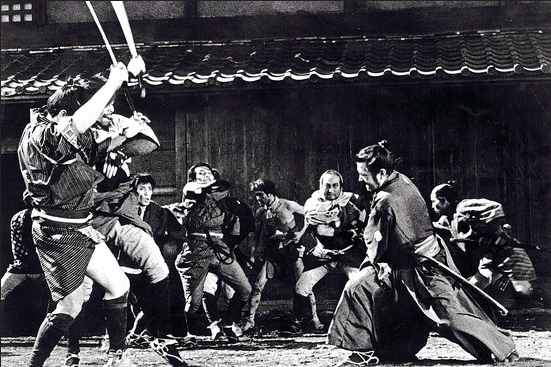 One of the most famous film is “Rashomon(羅生門)”, this movie’s theme is that truth vary from person to person. The woodcutter, priest, and commoner talked about an incident from various viewpoints around the Rashomon gate. After watching the movie, you might meet with skepticism toward what the truth is. The next movie is “Yojinbo(用心棒)”. The actor who is the most famous in Kurosawa’s movie, Toshiro Mifune plays a main role. His role is the bodyguard who is hired by two bosses of rival gangs in small town. This bodyguard tries to save the ordinary people in the town. His attitude to the life is really impressive to know how samurai should be. And this film has a sequel which called “Tsubaki sanjuro(椿三十郎)” . Both of these films are also good to know the role of samurai in peaceful Edo-period. 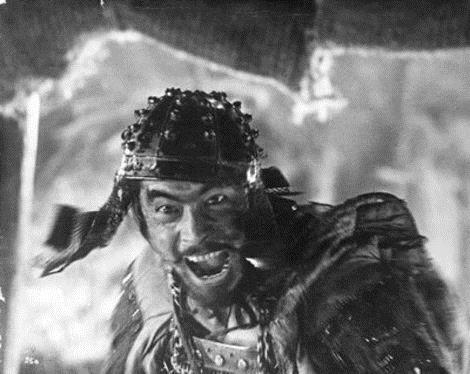 And the greatest work in Kurosawa’s film might be “Shitinin no samurai(七人の侍)” . This movie’s main characters are samurai, who gather to the small town to save ordinal people from a bandit groups. The attractive point of this movie is the attitude to the battle of seven samurais. Kurosawa movie will be useful to know the Japanese culture and Japanese splits. If you have never watched these movies, please check it out!